Angry Bird Star Wars II Announced. 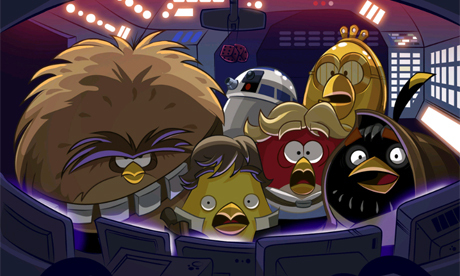 Rovio‘s Angry Birds and Star Wars team up again this September 19th, And this time they’re not coming alone. 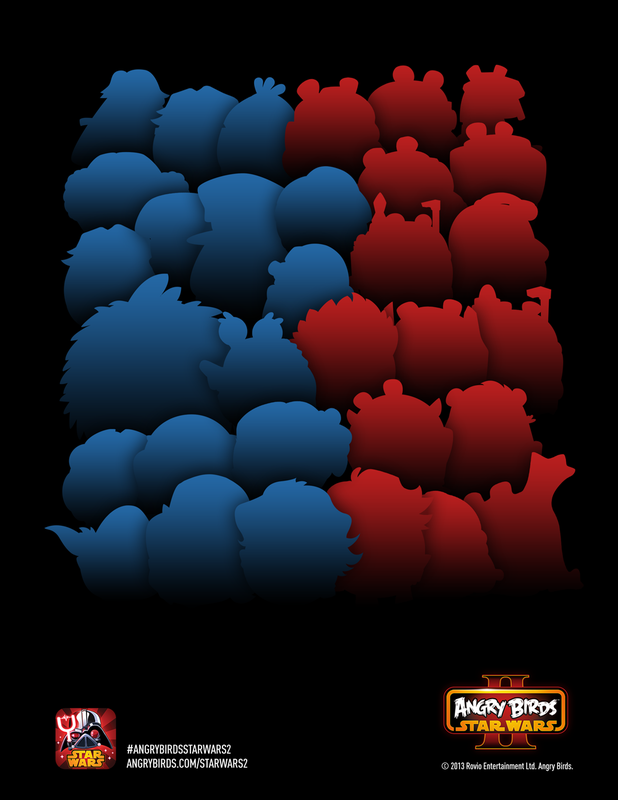 The Telepods are inch high figurines that depict Angry Bird versions of characters from the Star Wars universe. there will be 30 different figures in all, and will feature characters from both trilogies. Each figure will have a unique code on its base that can be scanned by the front-facing camera on iOS, Android, Windows 8 and Blackberry smart devices. At any point, players can scan the code and import a character of their choosing in place of the one currently sitting on the slingshot. With the success of games like Skylander and the excitement around the upcoming Disney’s Infinity. i expect more and more games to go with the physical character collection model. Because people tend to be collect crazy, This is a great method to cash in on the average players fascination with collecting. The Telepod character packs should hit stores in August. While the Angry Bird Star Wars sequel will be available for download on September 19th and will come with a price tag of $0.99 or $2.99 for the HD version. ← X-Force Destined For The Big Screen!